Become the sandwich connoisseur you were born to be with Pop Chart Lab's latest and greatest poster. The good people at Pop Chart Lab have blessed us once again with a beautiful food-related poster. 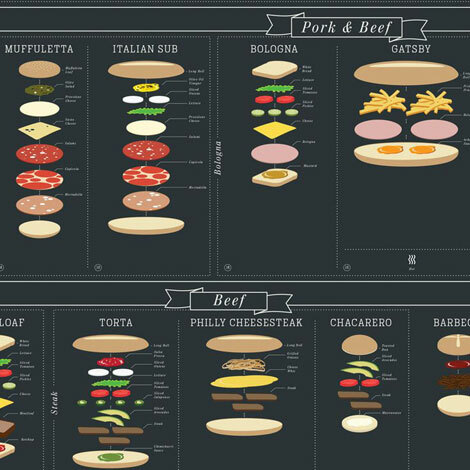 Their latest, ‘The Charted Sandwich Board,’ is a guide to nearly 90 sandwiches from 21 countries all over the world. 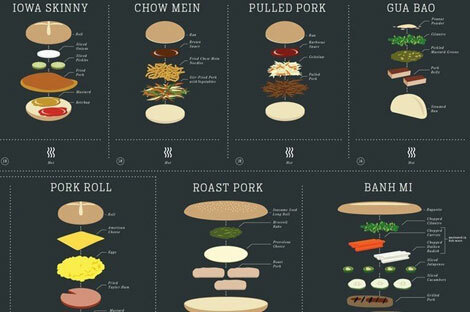 The sandwiches are categorized by meat (or vegetable), then deconstructed to reveal their essential components so you can recreate each and every sandwich for yourself. When you’ve got the know-how to make a banh mi, pork roll, muffuletta, or Gatsby, there’s just no excuse for a mediocre lunch. This isn’t the first impressive Pop Chart Lab poster to catch our attention. Back in 2014, Pop Chart created a beautiful map of the United States with a complete guide to the best craft breweries. 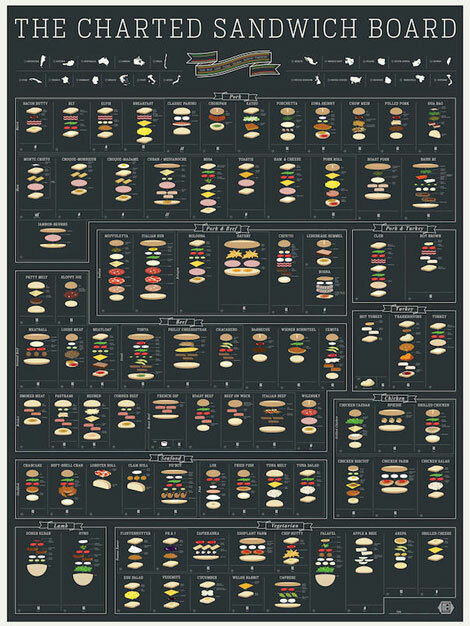 If you’re into a piece that can double as artwork and a cookbook, you can cop the sandwich poster on Pop Chart Lab’s website for $29.